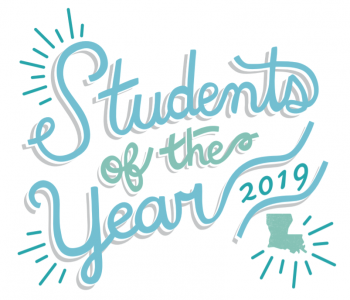 Ouachita Parish Schools celebrated 34 students at the annual Student of the Year Celebration Luncheon. 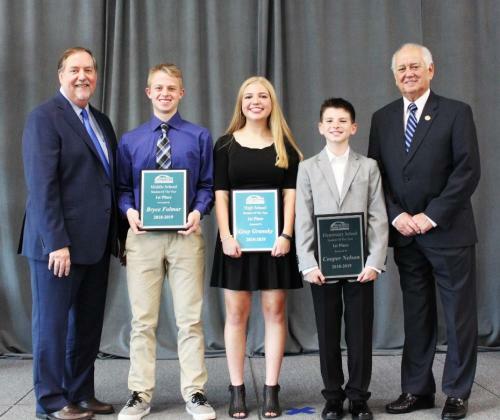 The Students of the Year Awards Program is designed to recognize outstanding elementary, middle/junior high, and high school students. This program, patterned after the Teacher of the Year Awards Program, is an excellent opportunity to recognize those students who have demonstrated excellent academic achievement, leadership ability, and citizenship. Each student was honored for their achievements and district finalists were announced at the luncheon. The three district winners will continue on to regional and state competition. The event was sponsored in part by University of Louisiana at Monroe, State Representative Frank Hoffmann, State Representative Jay Morris, Origin Bank, West Monroe-West Ouachita Chamber of Commerce Adopt-A-School Program, and Ouachita Parish Schools.